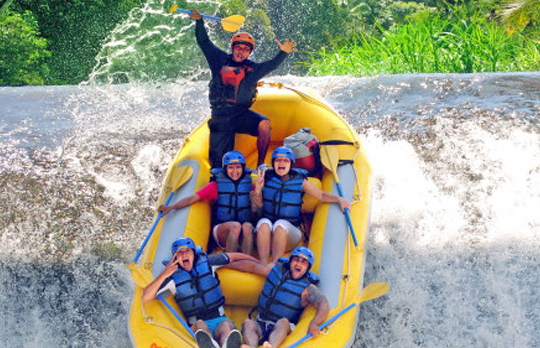 Bali Rafting Tours is one of the most popular activities in this beautiful destination and is enjoyed by all types of travellers looking for a bit of adventure while visiting the magnificent island. Bali is a perfect destination for holiday because in this beautiful island we can see various kinds of Bali Tour Packages and adventures that are combined with its beautiful nature. 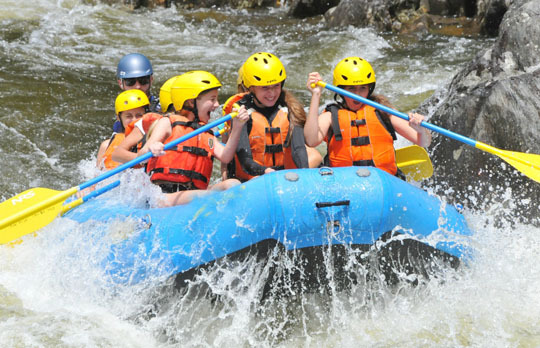 Bali has some good quality River Rafting Tours with three rivers being great for enjoying this activity. 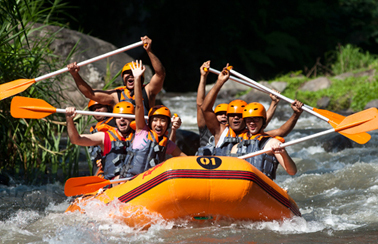 Such as; Ayung river rafting with + 11 km and 2-3 level adventure with 28 rapid, It's loacted in the Ubud region. Ayung river is offers the rafting adventure with beautiful river view ; Bamboo trees, tropical jungle, wild lifes, cascading waterfall, cliff carving with Mahabrata and Ramayana story is worth to see, Telaga Waja River Rafting (3-4 Level) with the longest journey + 16 Km along the beautiful Bali Paradise river at Easten part of Bali, and Melangit River Rafting has more than thirty rapids with 1 to 4 meters in height. The river turning are sharp, currents are fast and impacts of river walls are challenging that make the adventure more exiting. Both of those river providing the great water adventure, and we are ready to provide all the best things for you to get the best rafting experience in Bali.